Ultimate Nutrition came into conception in 1979 by Victor H. Rubino, a top of the line powerlifter during his time in the United States. Being a bodybuilder himself, Victor understood the importance of diets and supplement for optimal performance at the gym. The goal was to create a product that catered to the needs of every type of athlete: from powerlifter to sprint runner. Being a biochemist by profession and armed with the knowledge of health science, he decided to start up his own company named Ultimate Nutrition. His goal was to create carefully researched products that offer an affordable price for everyone. After its inception, the company went through several ups and downs but eventually became one of the first companies to introduce Amino Acid tablets, protein, carbohydrates and fat burning supplements. By introducing such a range of products, the company went on to become a major supplement brand, trusted by bodybuilders and fitness enthusiasts all over the world. Ultimate Nutrition is now continuously expanding its product range by introducing the most innovative products on the market. It excels in protein supplements such as whey Protein, creatine and casein supplements. 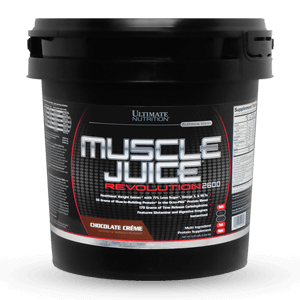 It’s range of products includes ISO Mass Xtreme, ProStar Whey, Muscle Juice and Protein Isolate. Their product range is designed to provide you the best in nutrition. 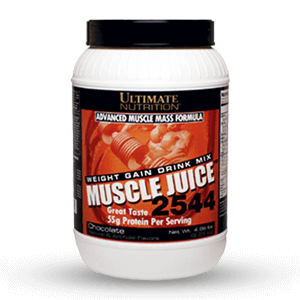 Most of Ultimate Nutrition’s products focus on increasing energy, endurance, and stamina. They are very useful in promoting strength and muscle gains. 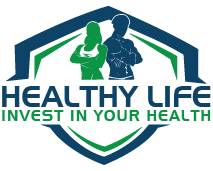 Healthylife.pk is your best resource if you are looking to purchase high quality supplements for Ultimate Nutriton in Pakistan, we offer a wide range of UN supplements that provide you with the strength and endurance required for optimal performance. In order to perform our very best in the gym, we require a lot of energy. When it comes to high-intensity exercise, our body equips us with ATP or adenosine triphosphate, which is the energy-carrying chemical within our body. The difficult part is that it does not last very long during workouts. ATP must therefore, be taken from an external source, which in our case are supplements. 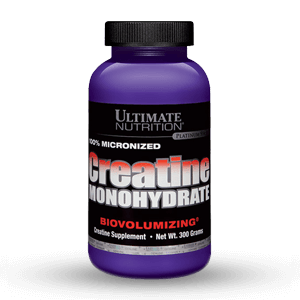 Ultimate Nutrition’s Creatine Monohydrate formula equips us with the necessary energy required for our bodies to keep functioning during workouts. The ATP push is vital for improved performance and muscle function. Post workout, it keeps us energized for other activities as well. Do you feel tired or sore after a high-intensity workout? It is justified more or less. It is justified because a workout is tiring. However, it gets worse if you work out a lot and just cannot perform your everyday tasks. 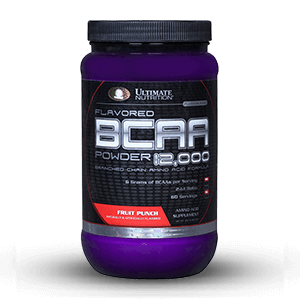 Ultimate Nutrition’s BCAA powder is very effective for you. Post-workout, it provides you with the effective tools needed to perform effectively after a workout because it provides you with all the necessary mixes that increase your overall BCAA intake, which means you’ll be spending less time feeling tired and be able get on quickly with your daily life. 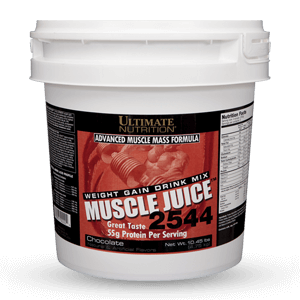 Muscle Juice is probably the best-tasting weight gainer out on the market today. To put this statement into perspective, you need to understand that with one gram of this protein’s serving, you are equipping yourself with Whey Protein Isolate, Concentrate, Calcium Caseinate, Egg White Albumen and a lot more. Your muscles will be constantly nourished with this protein formula. Protein supplements prove the most beneficial tool for athletes looking to improve their performance. To say that it is an indispensable supplement for individuals involved in long-term, high-intensity training schedules, it would not be further from the truth. 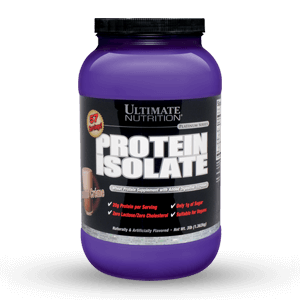 Ultimate Nutrition’s Protein Isolate formula provides you with that powerful boost of protein required in strenuous workouts. It is very crucial for building stronger muscles. Overweight individuals face a lot of trouble in losing fat and gaining muscle. The problems come not from them trying hard at the gym but come from their eating habits. 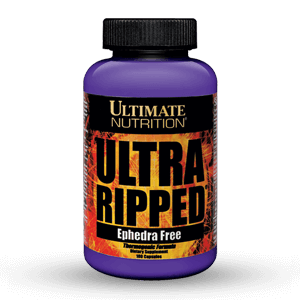 Ultimate Nutrition’s Ultra Ripped is very important as a tool for overcoming your eating habits. The product increases the metabolic rate and supplies five important amines that are essential for burning calories and losing weight. Soft gels are an essential supplement whether you work out or not. It contains polyunsaturated fats like Omega-3s, which are crucial in improving heart, skin, eyes, brains and joint function. 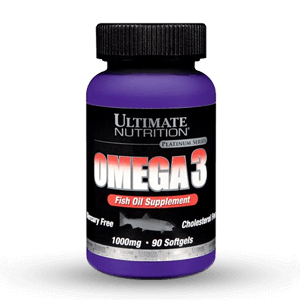 Omega-3 contains fatty acids like EPA and DHA, which are powerful and essential tools for reducing diseases and improving body function.